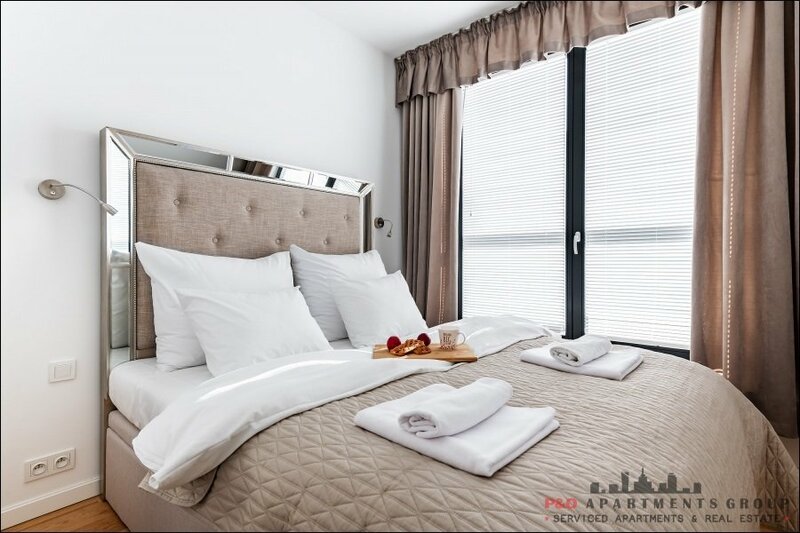 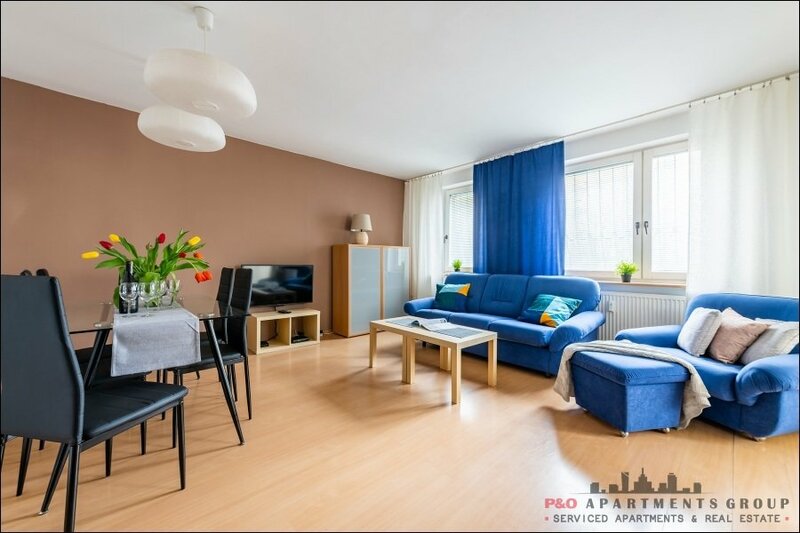 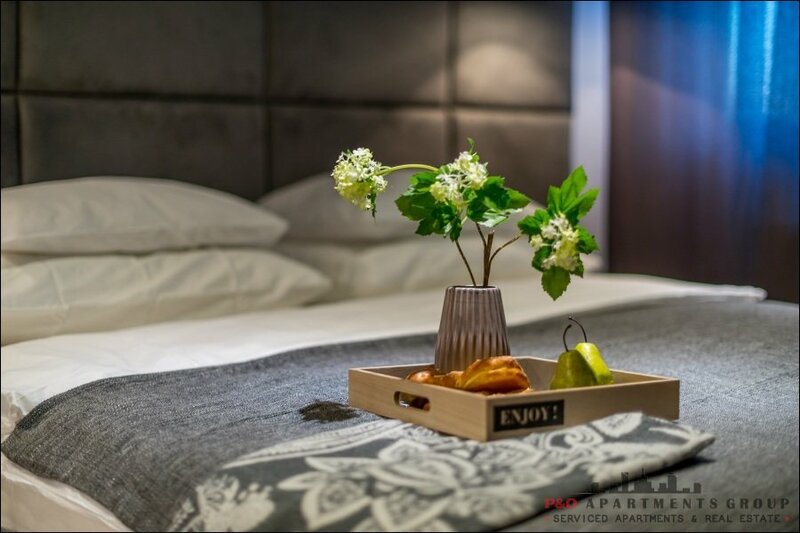 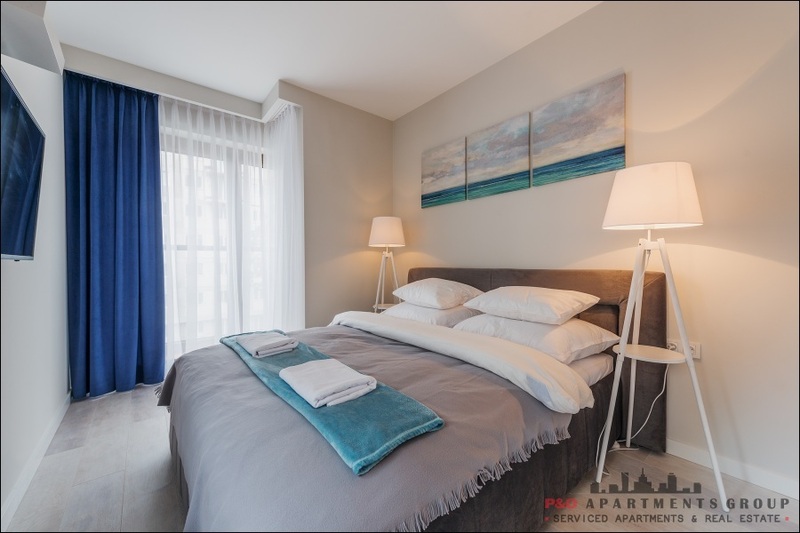 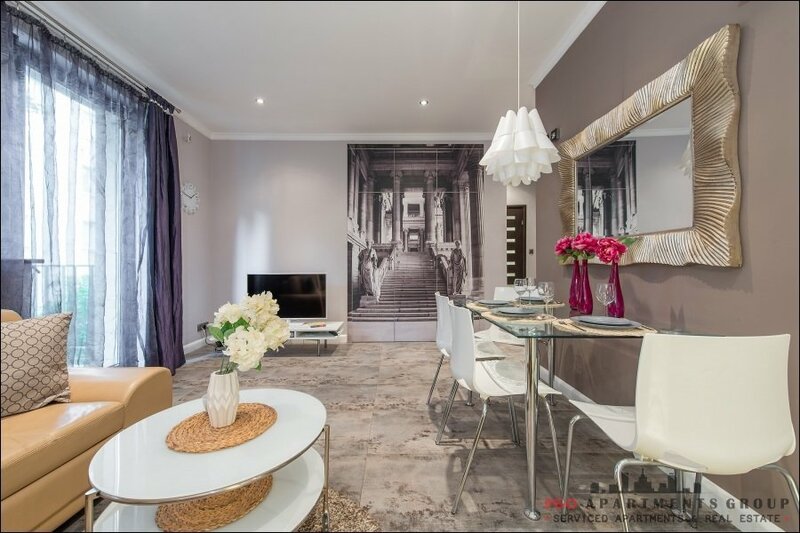 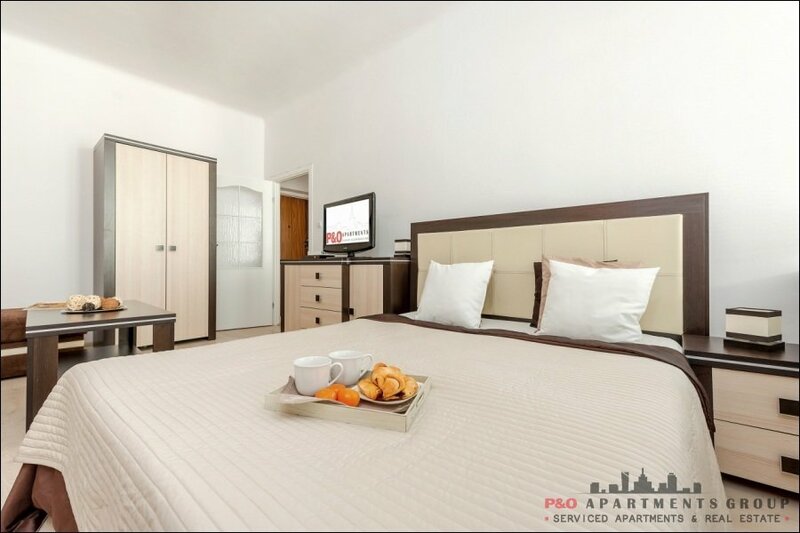 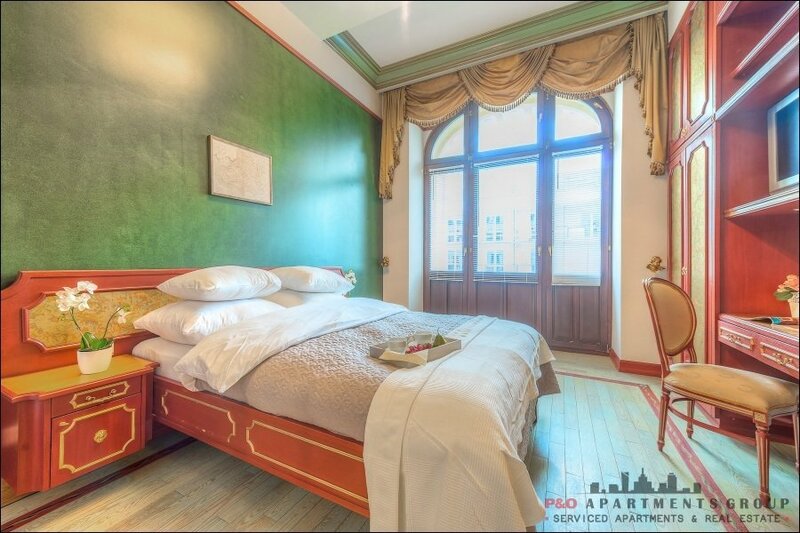 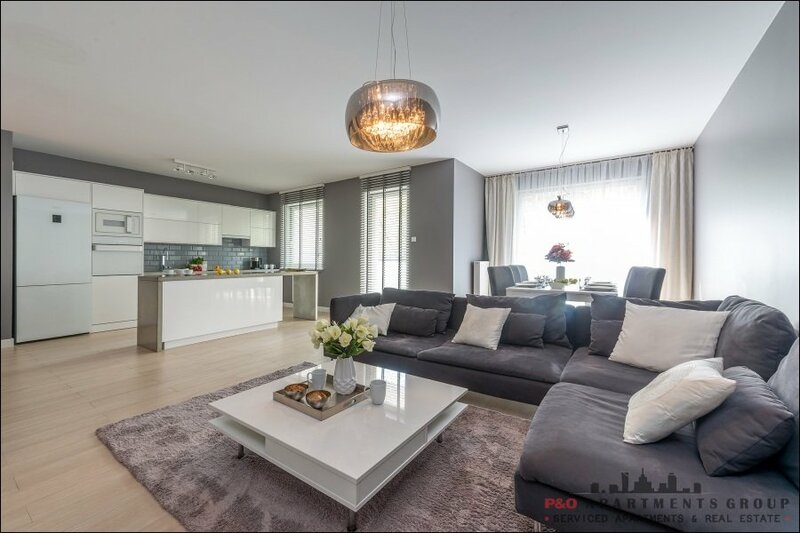 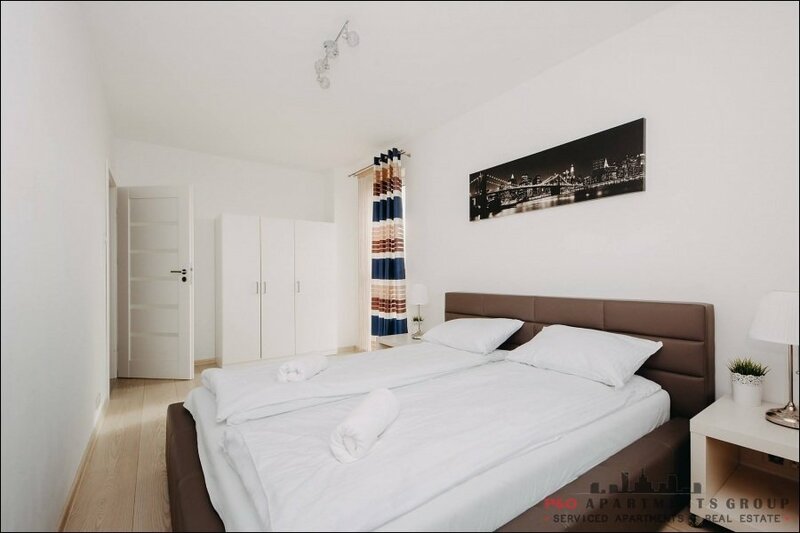 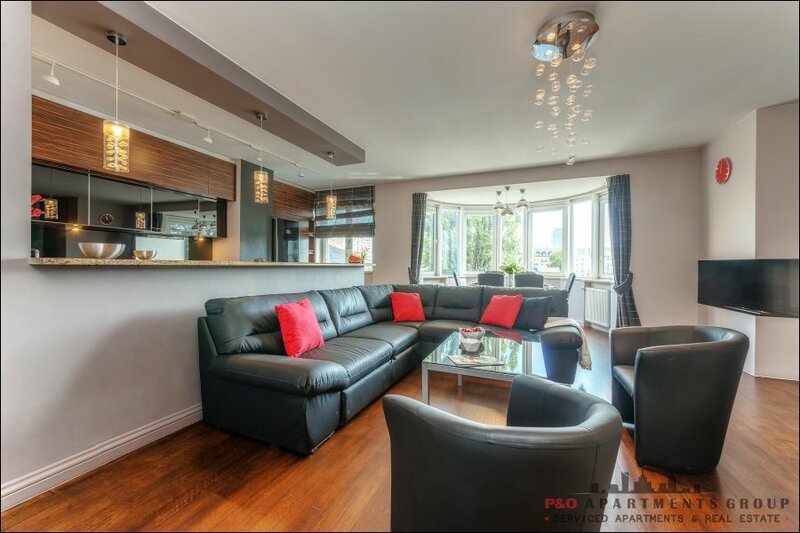 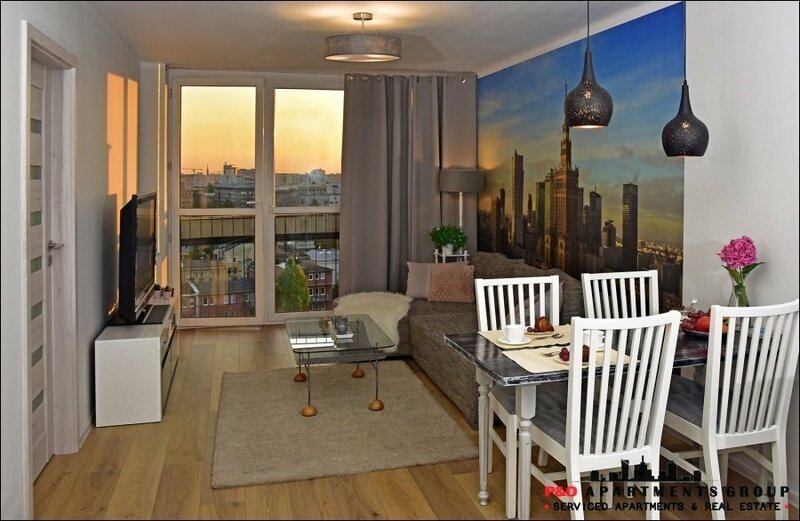 An elegantly furnished and equipped apartment in the very center of Warsaw on the 25th floor in a luxurious apartment Łucka Residence at ul. 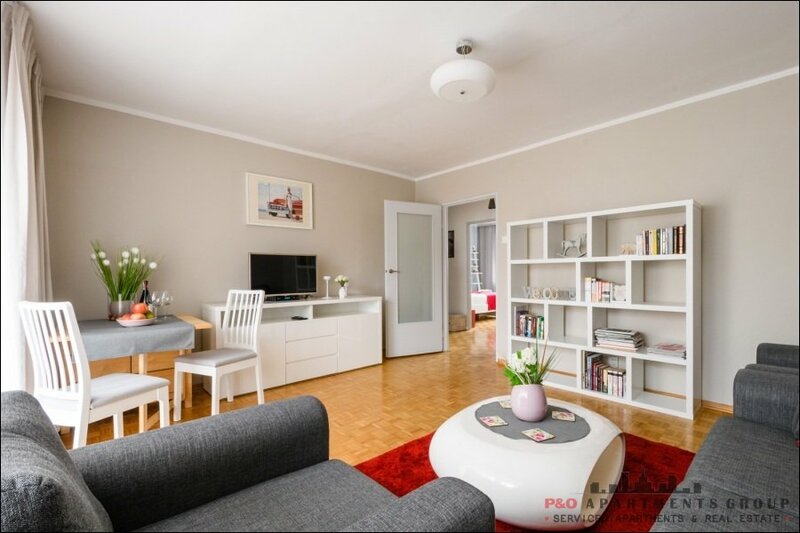 Łucka 15. 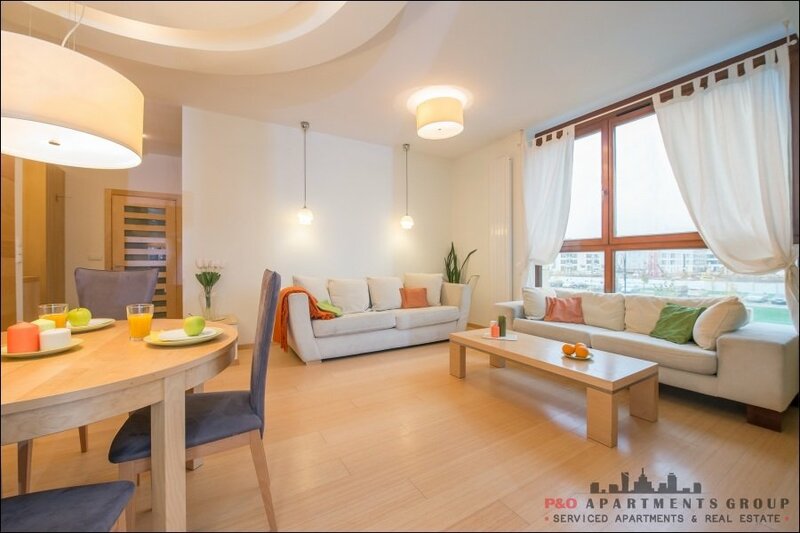 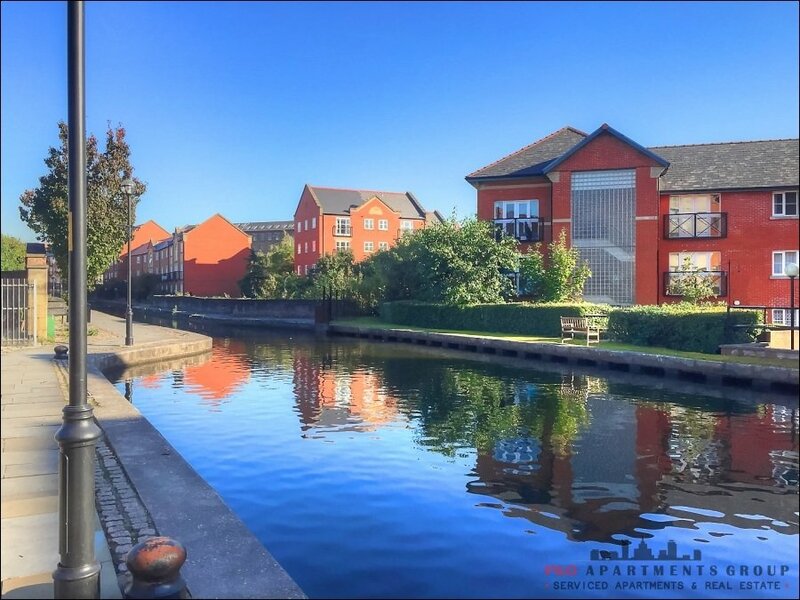 In the building, intercom, security and elevator as well as a grocery store. 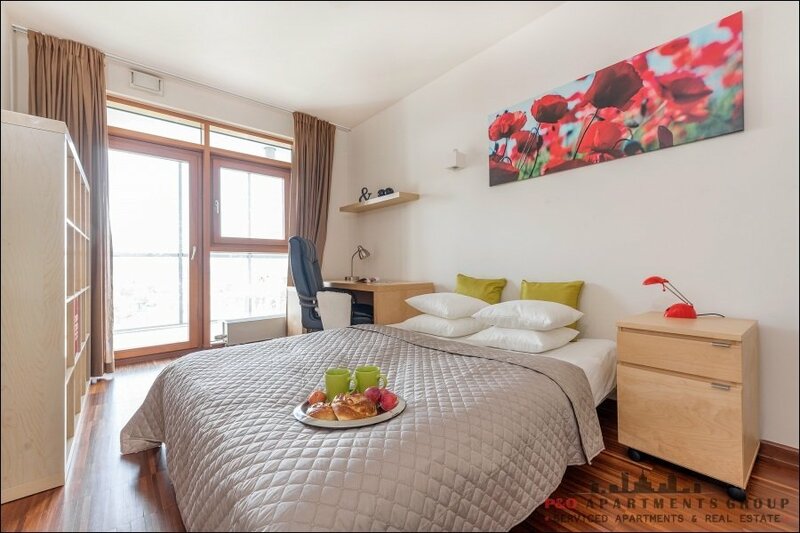 For longer stays, you can use the swimming pool, sauna and gym. 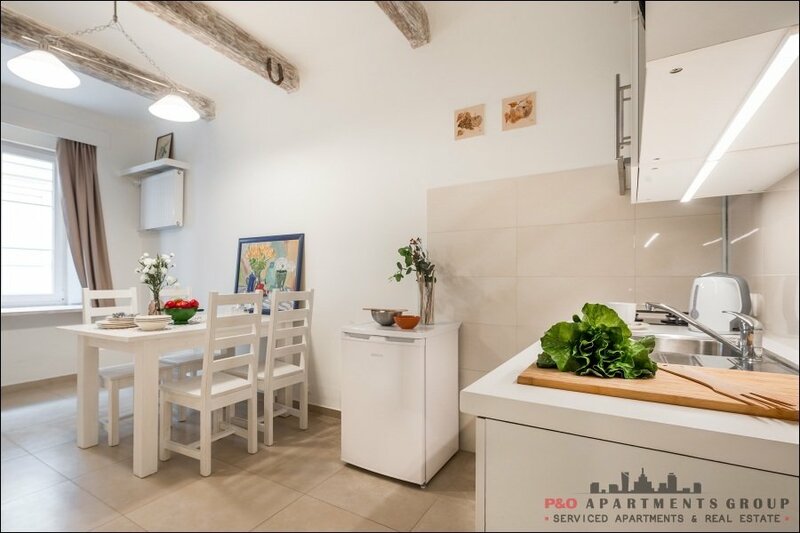 Parking space in the underground garage available to guests, in neighboring buildings there are restaurants that serve meals from the morning. 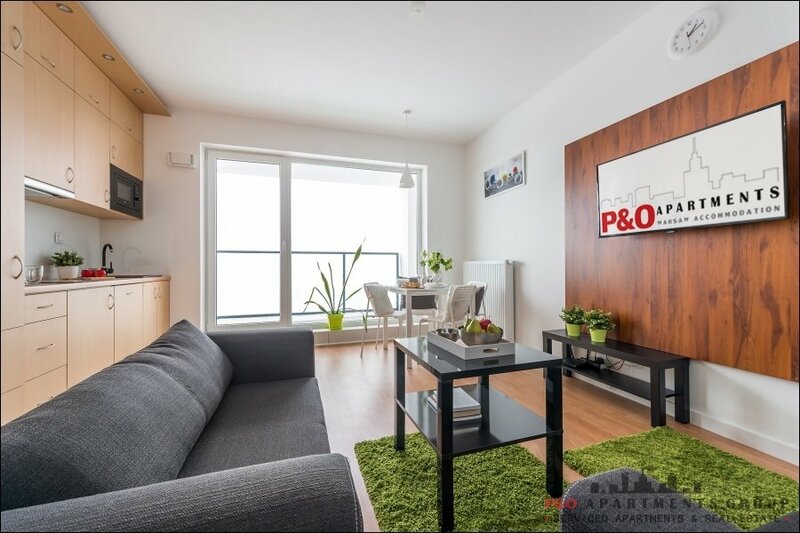 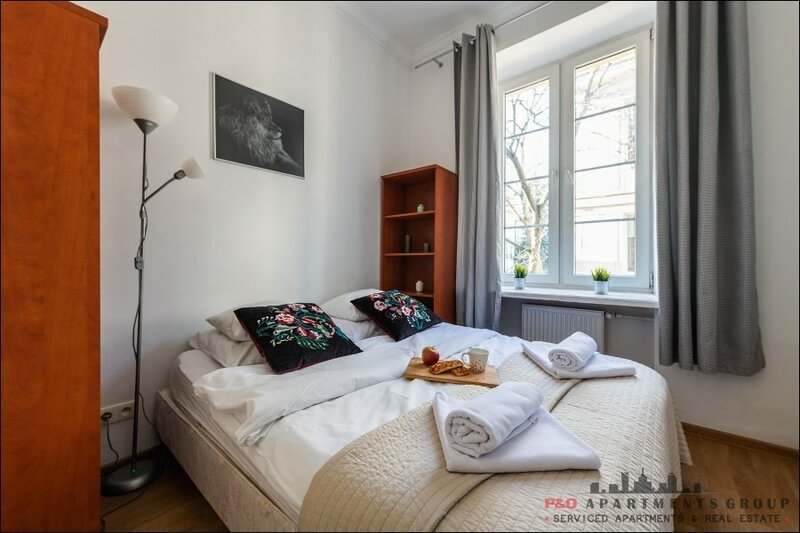 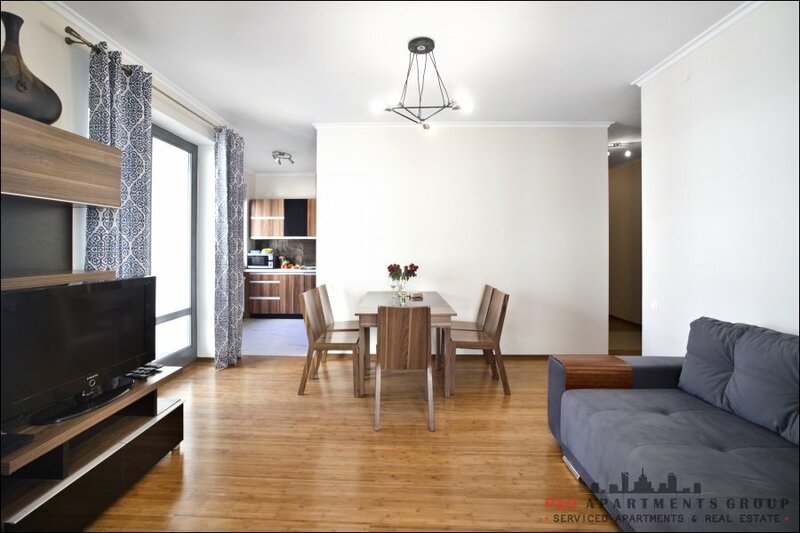 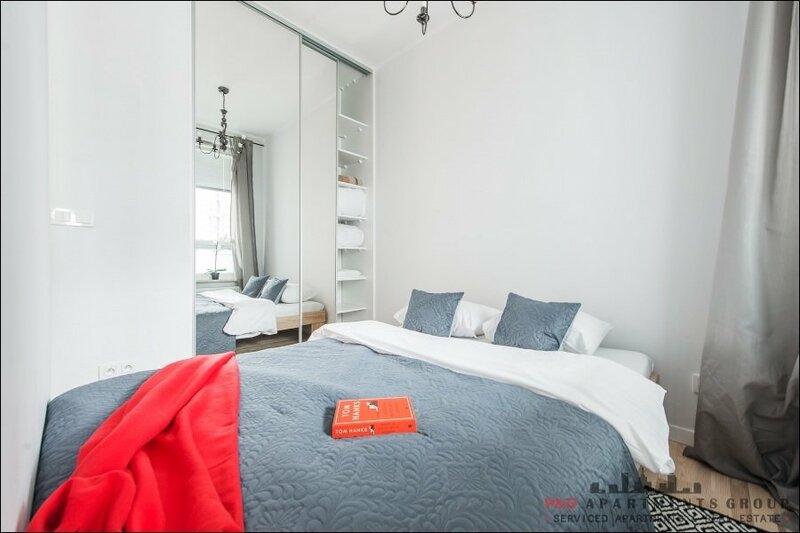 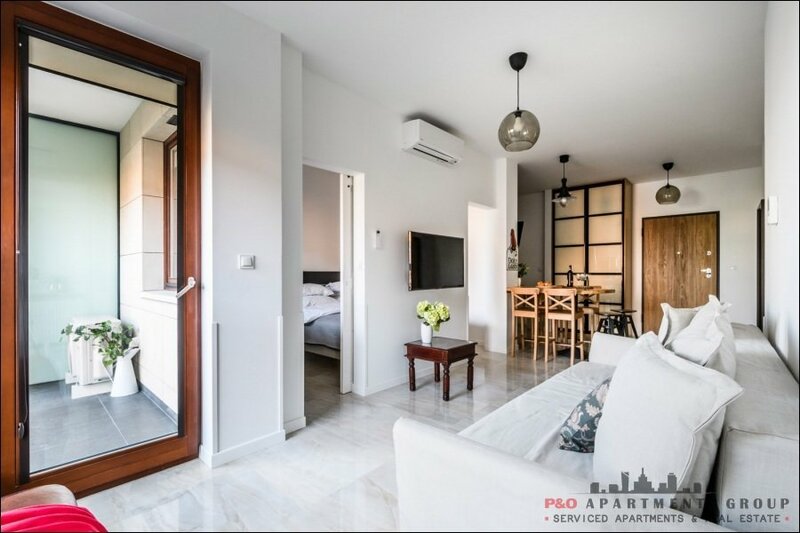 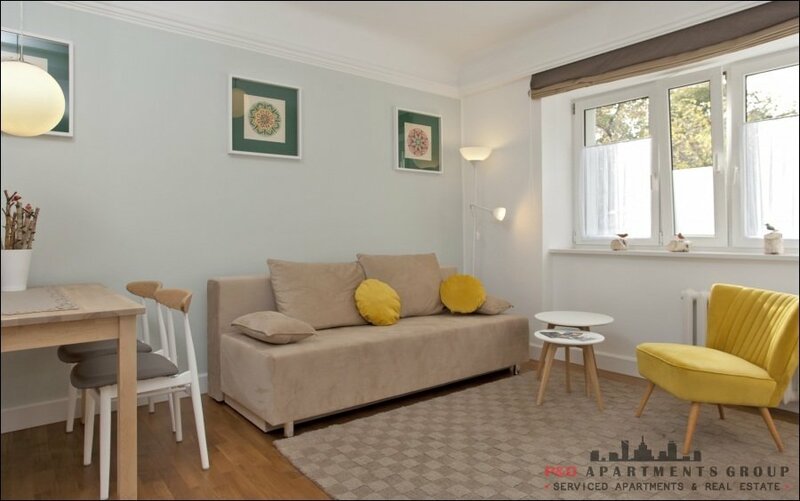 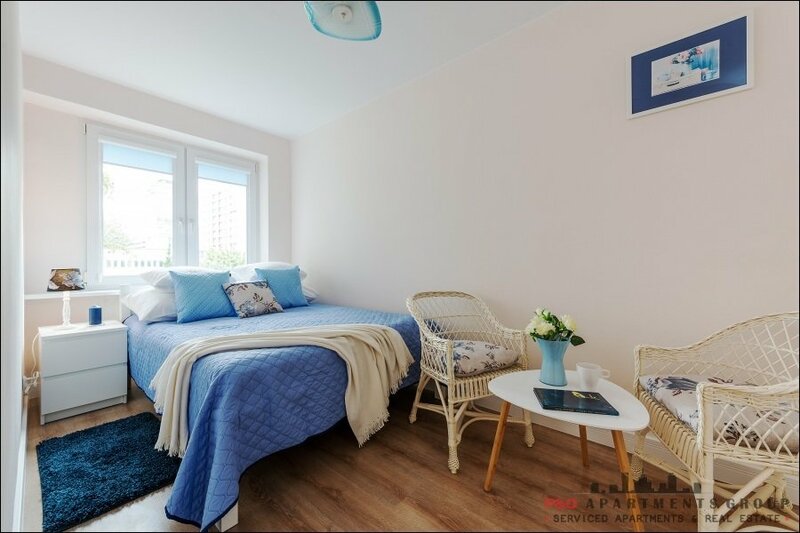 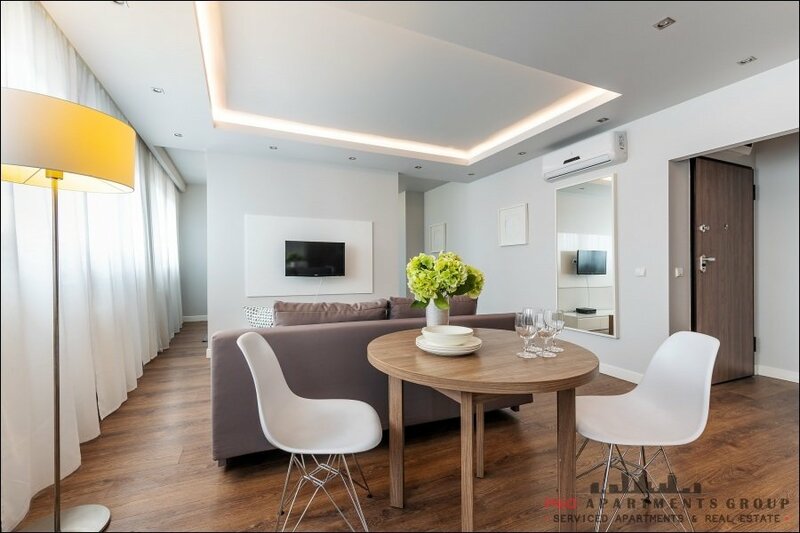 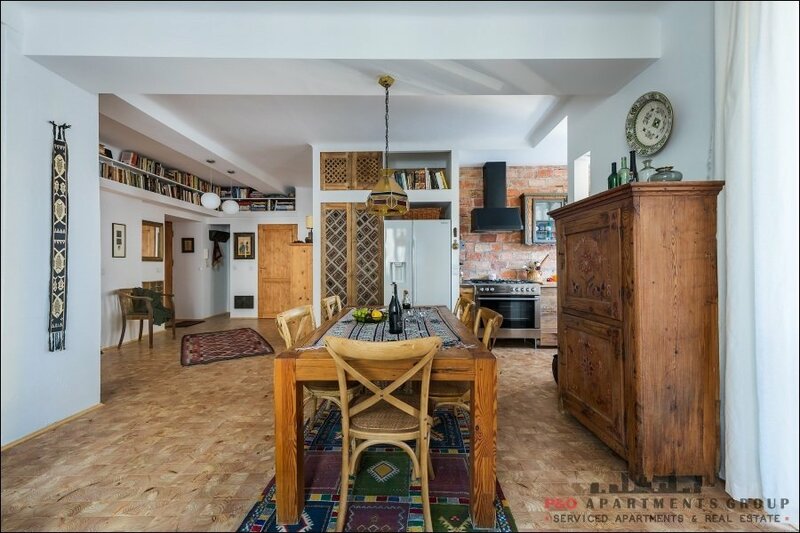 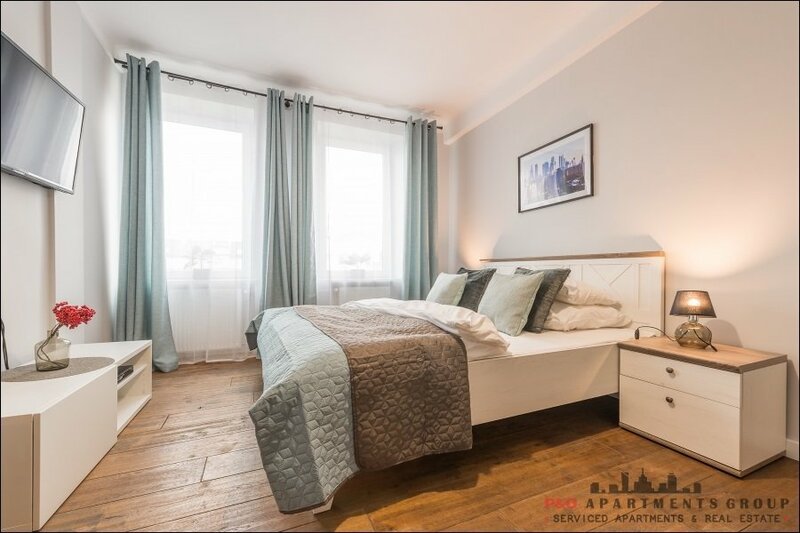 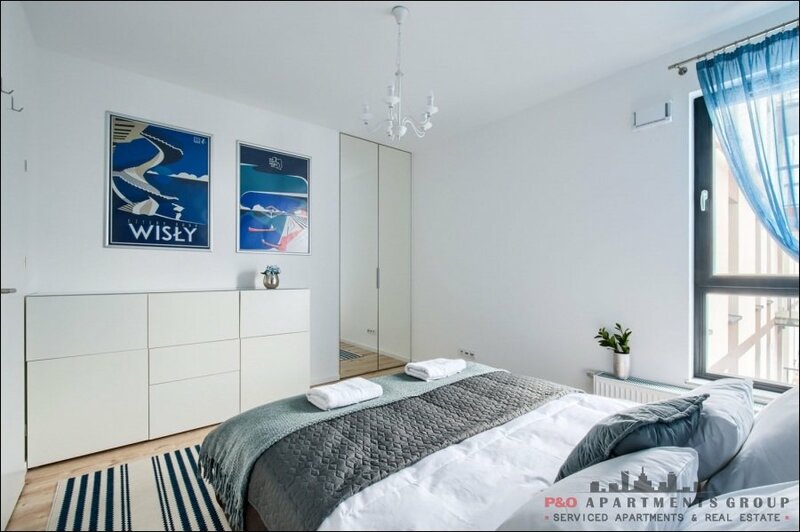 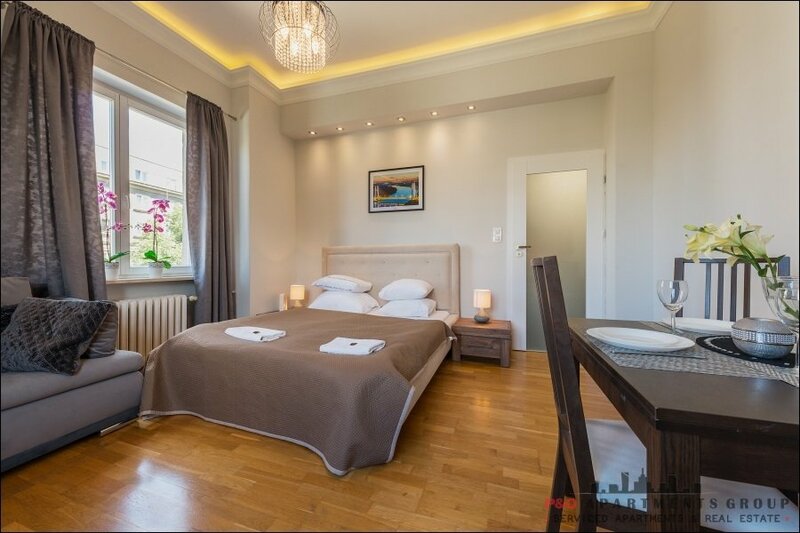 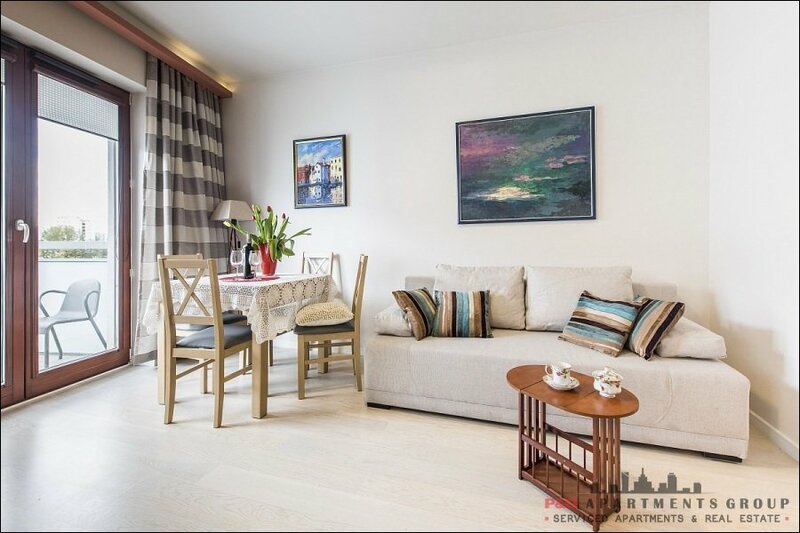 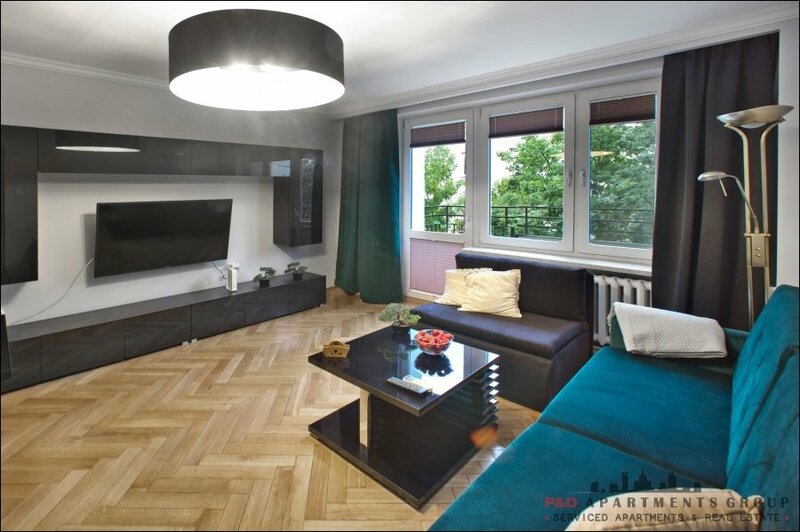 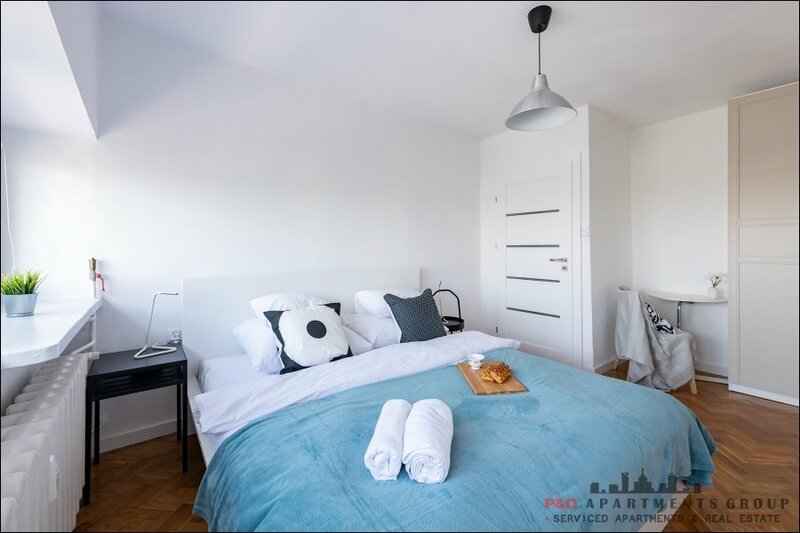 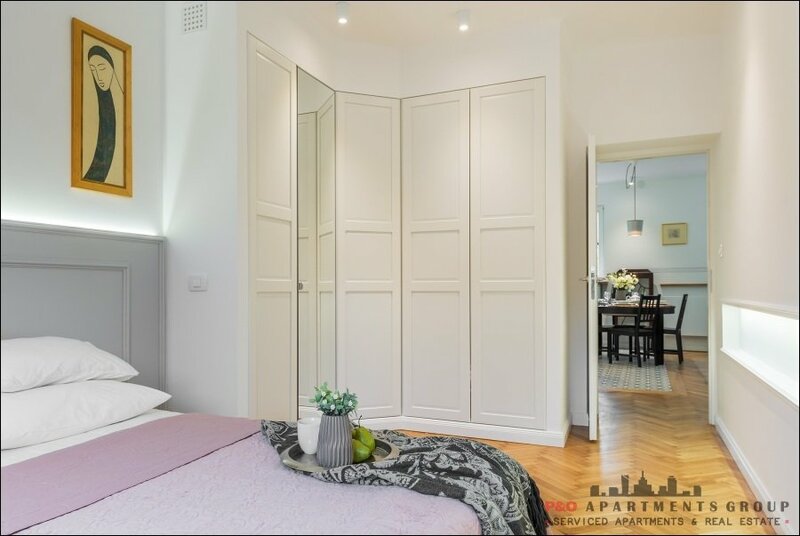 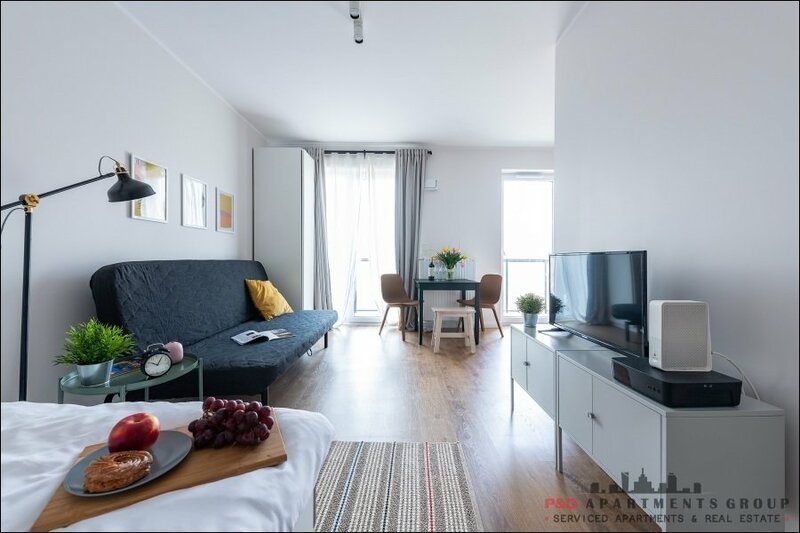 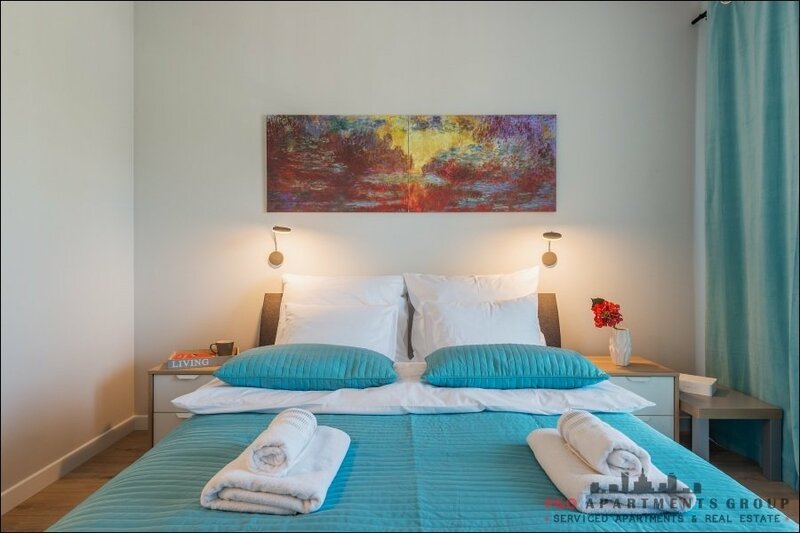 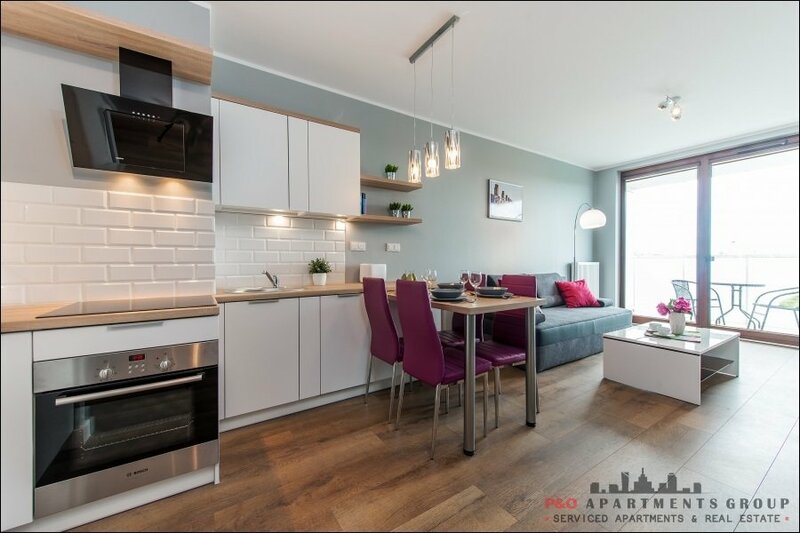 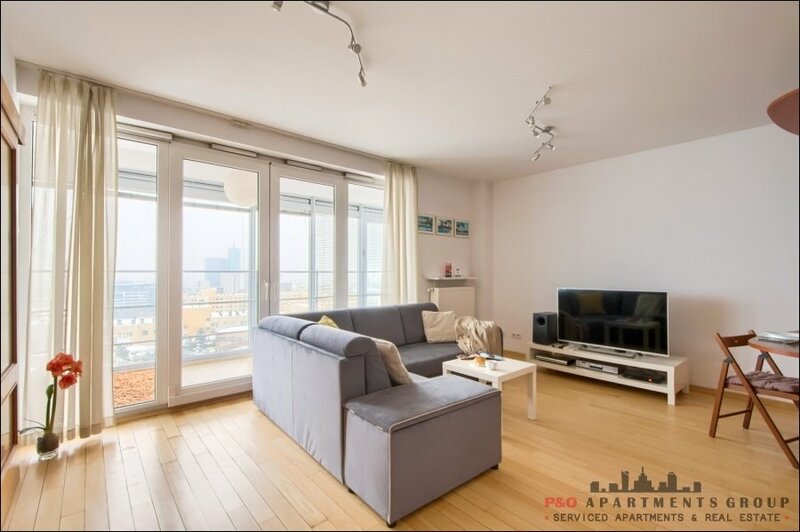 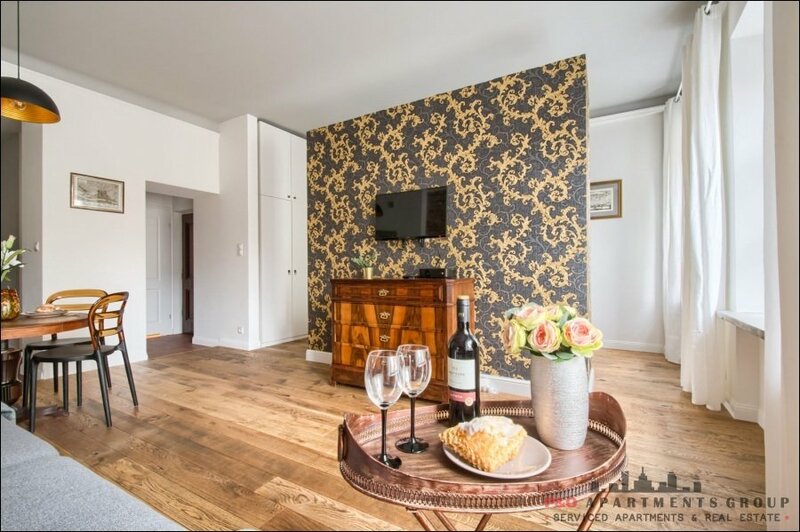 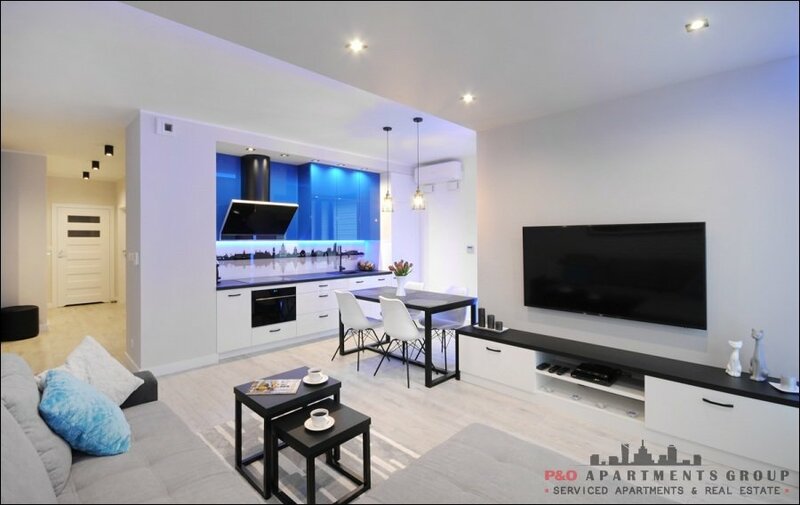 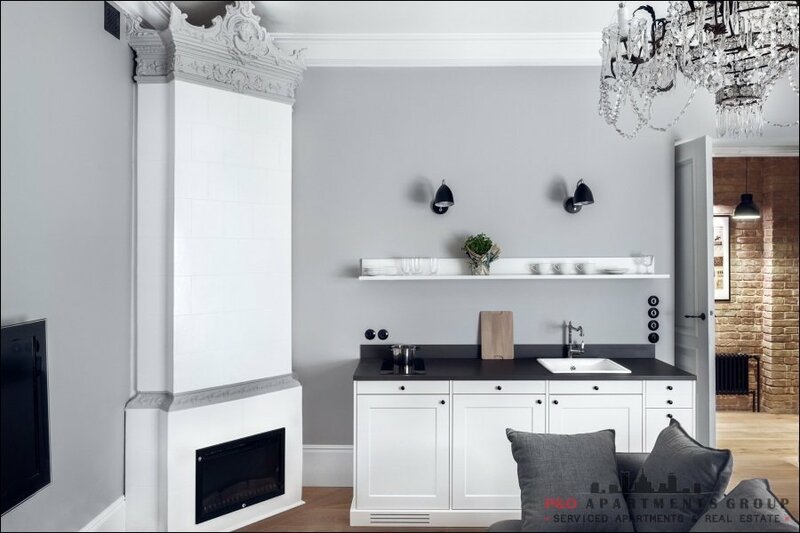 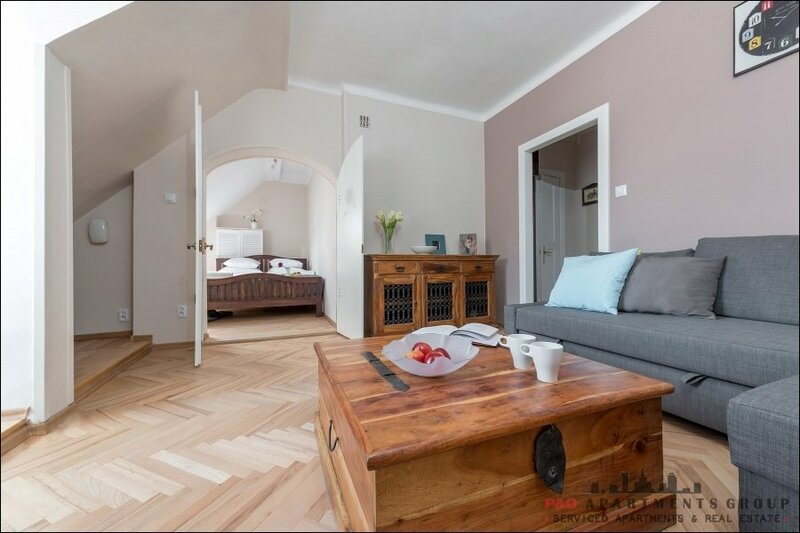 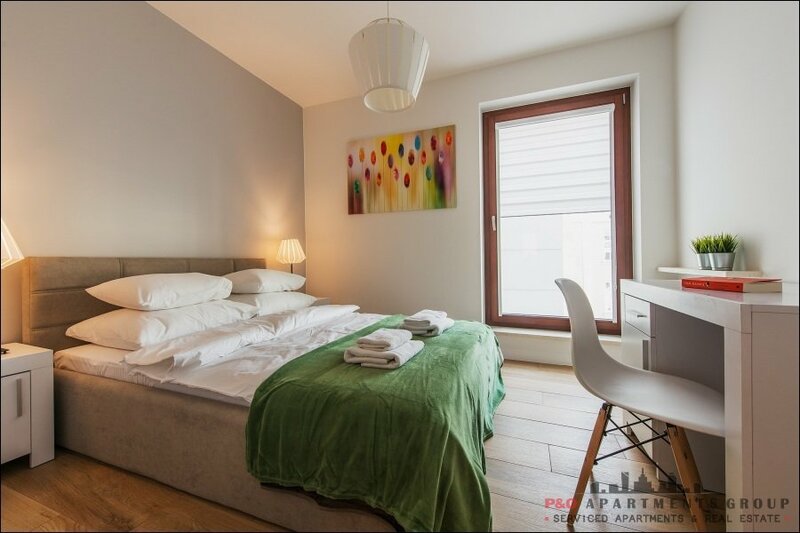 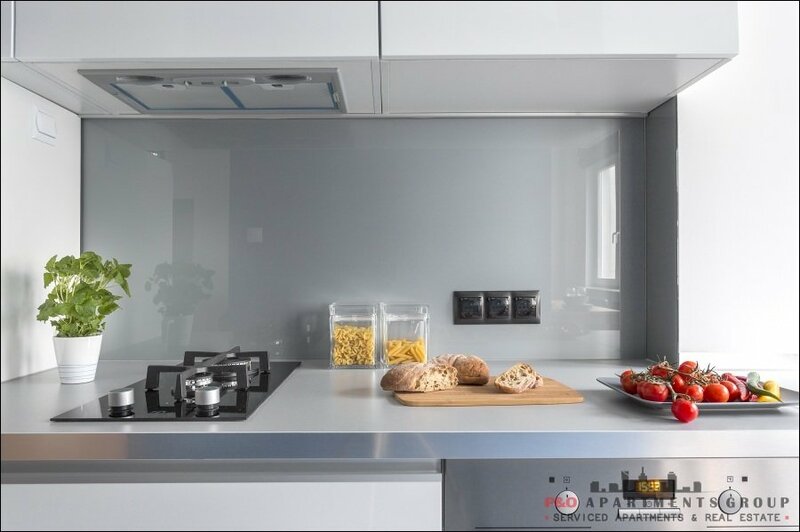 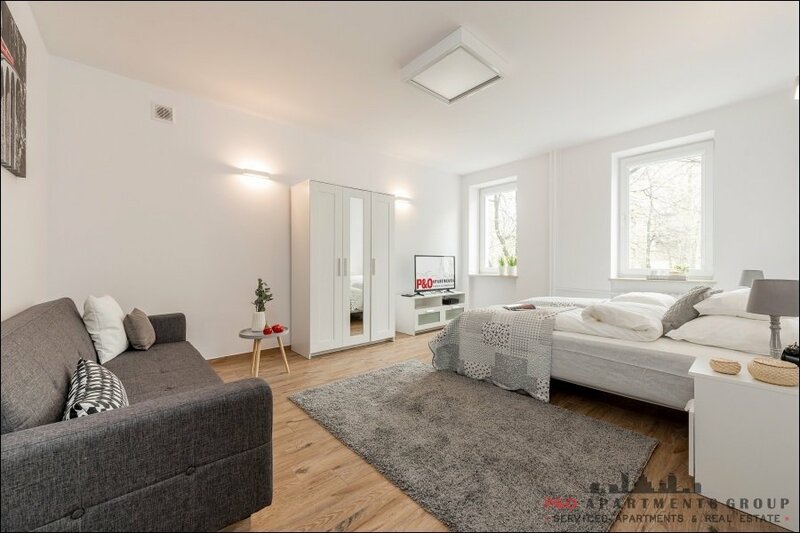 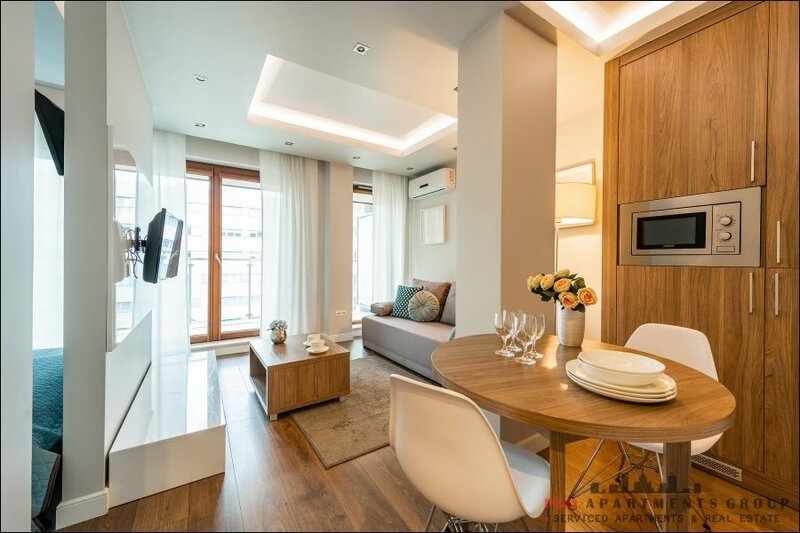 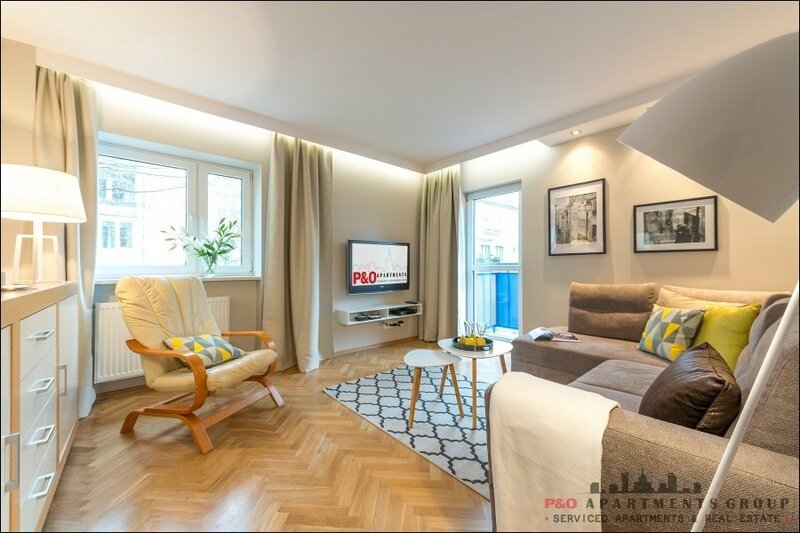 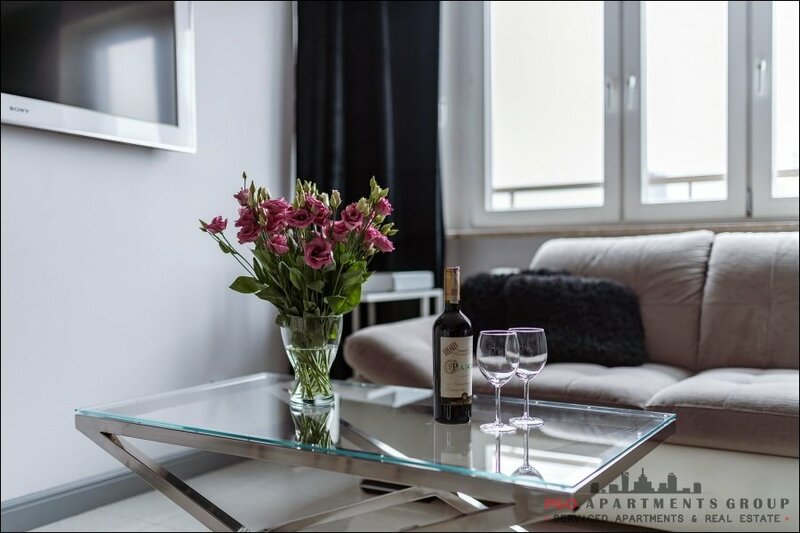 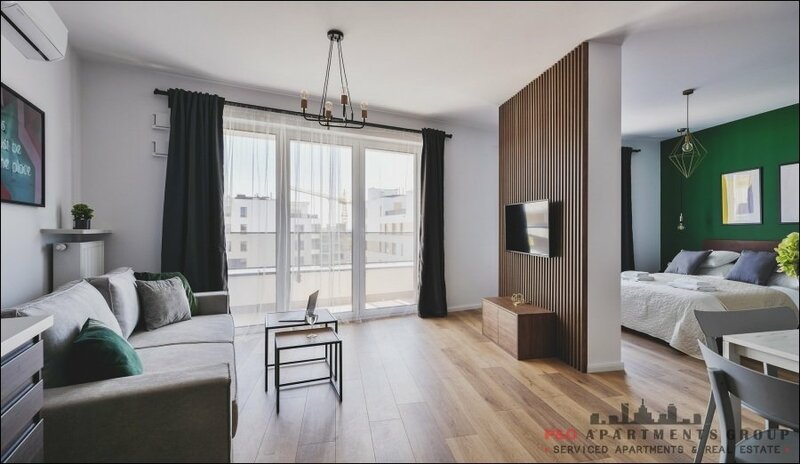 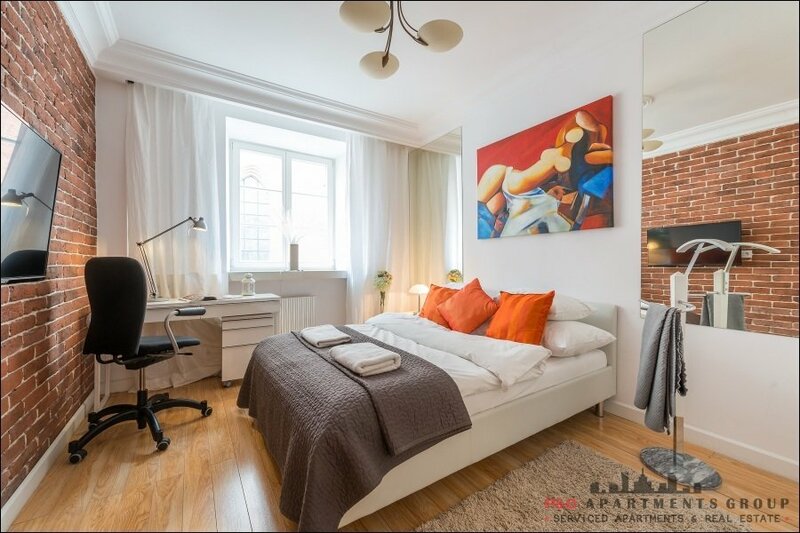 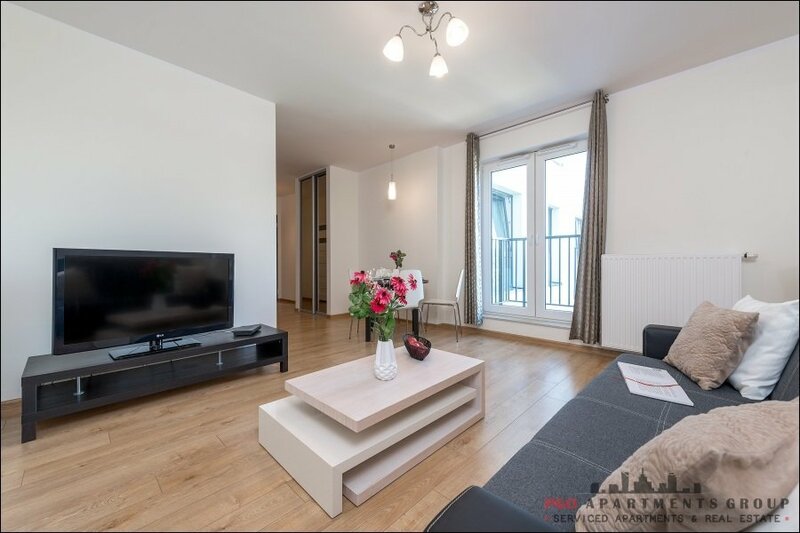 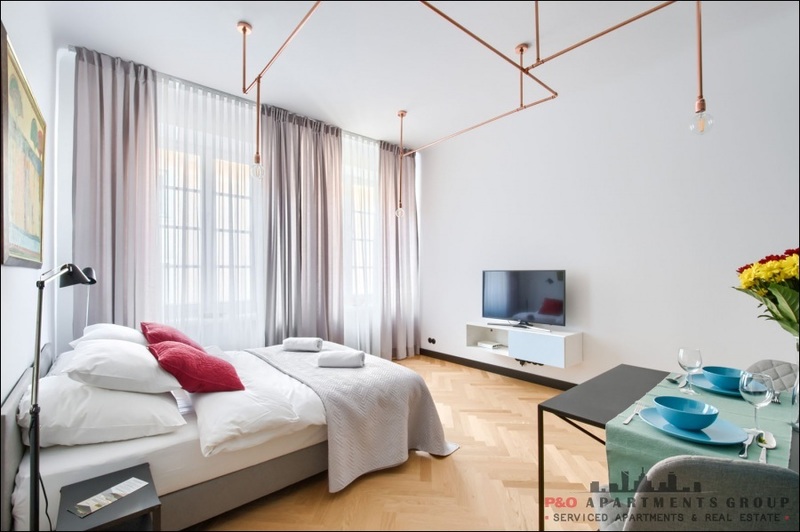 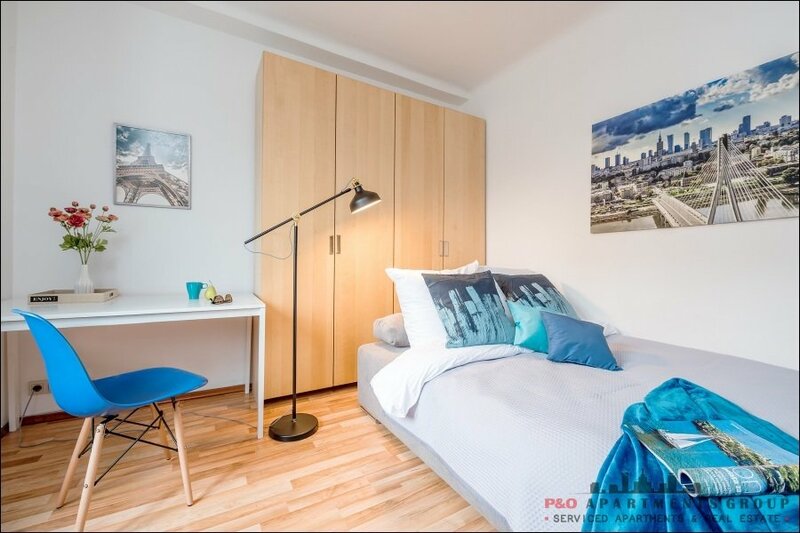 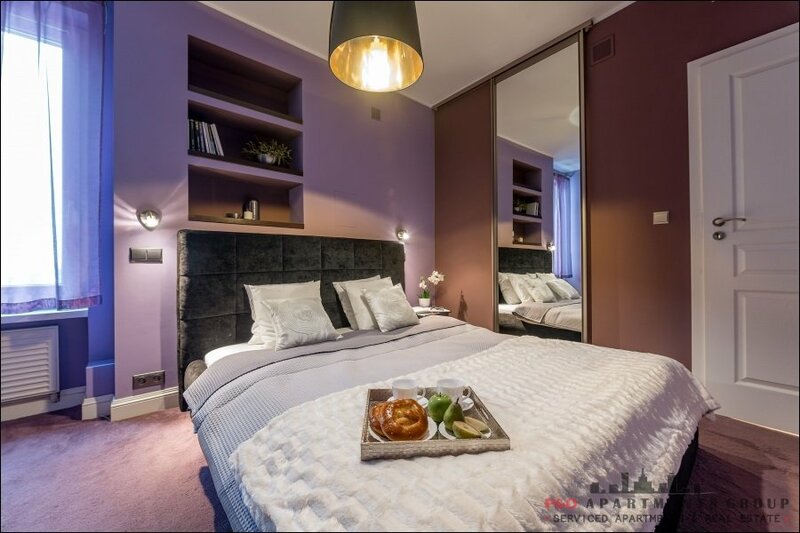 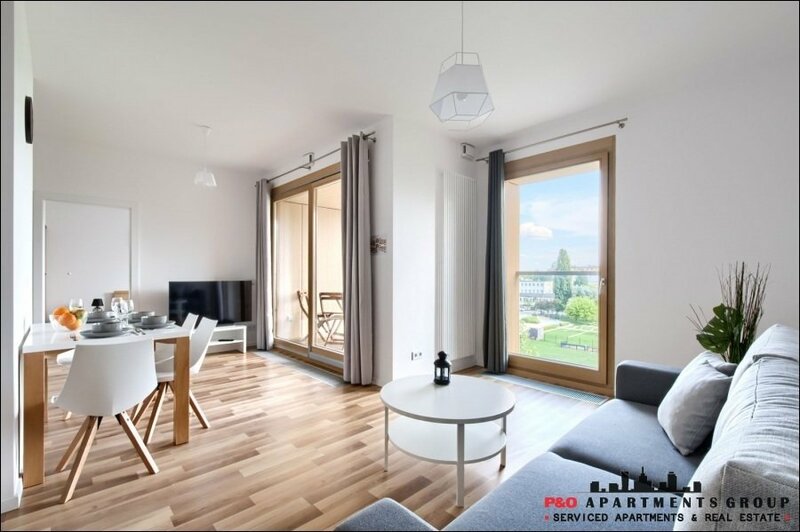 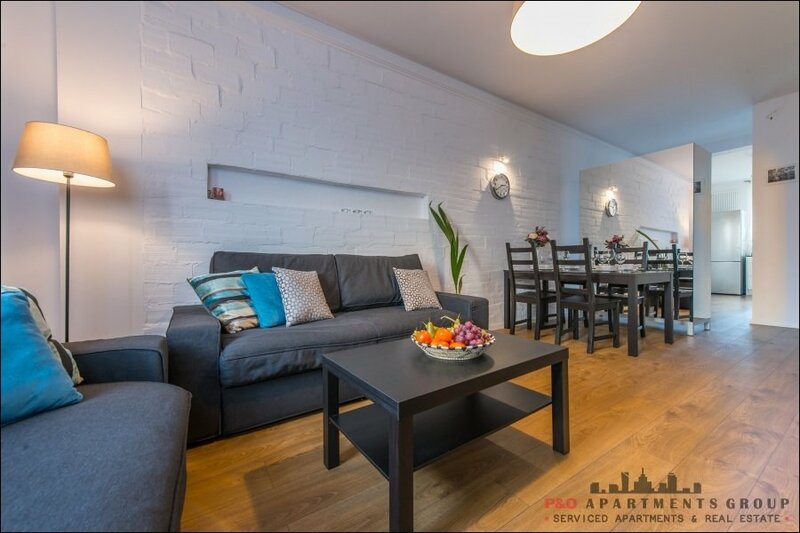 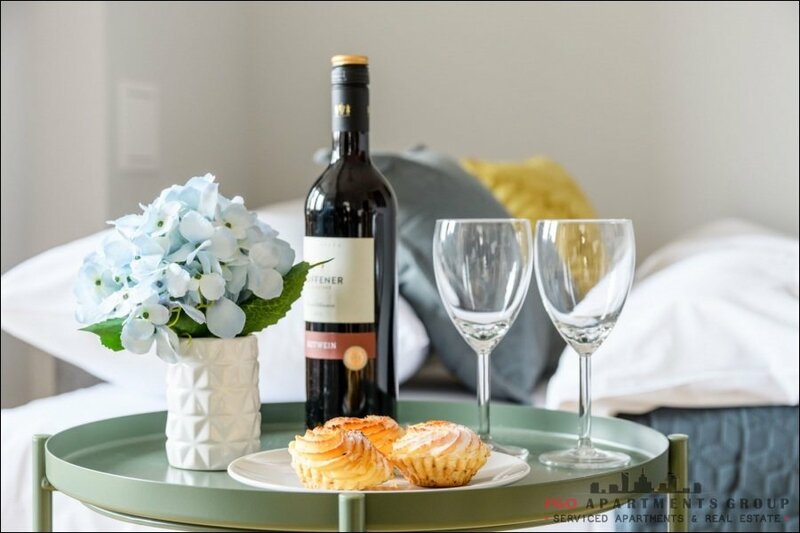 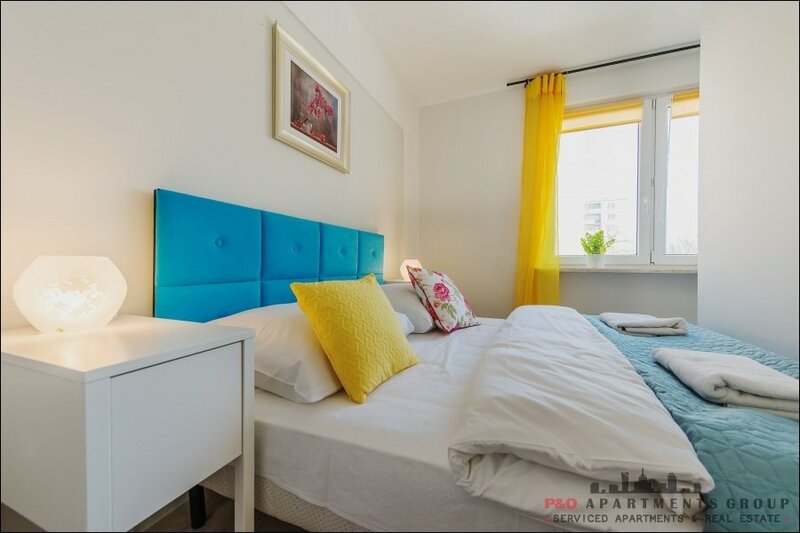 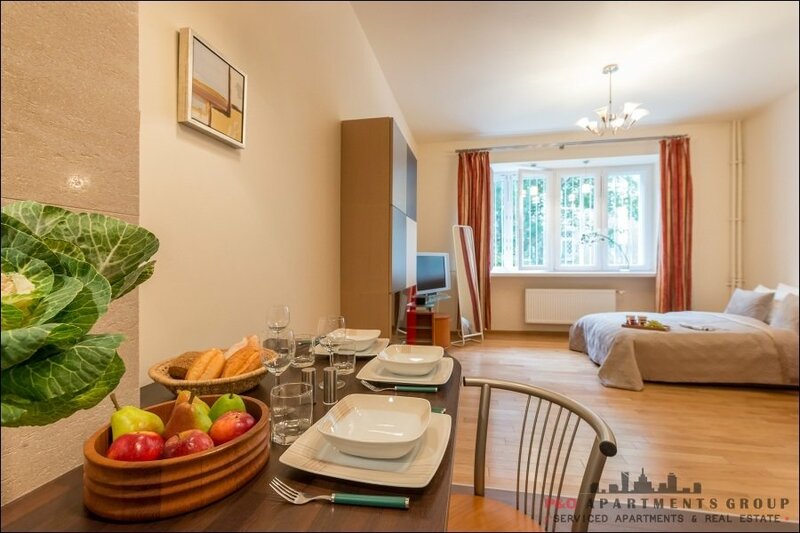 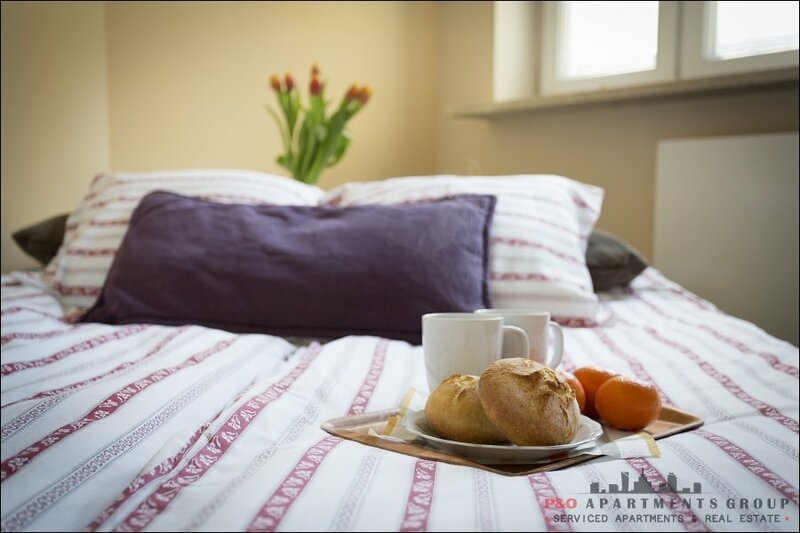 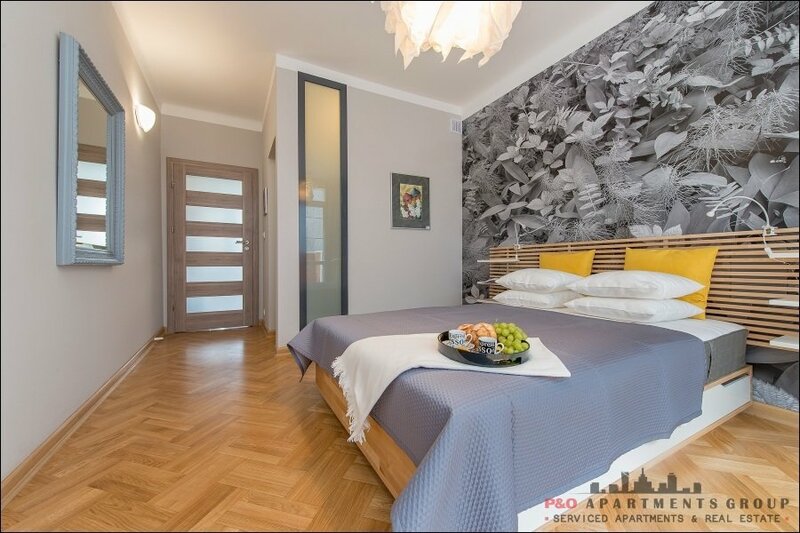 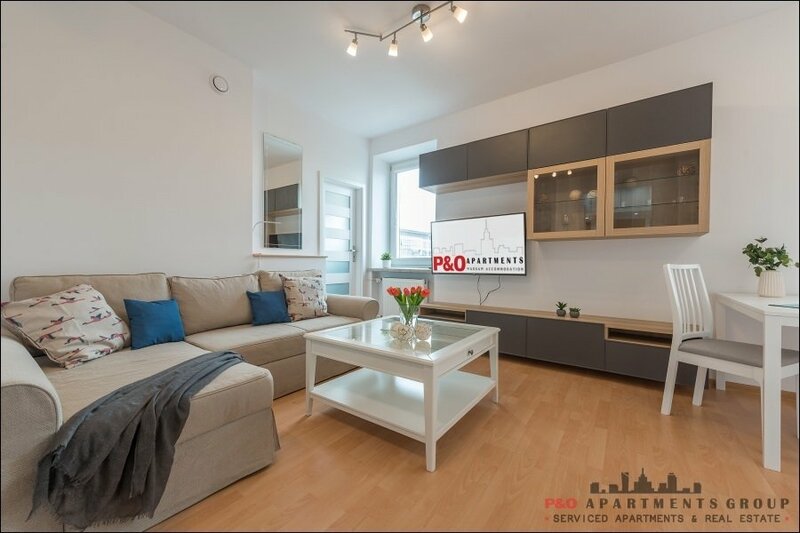 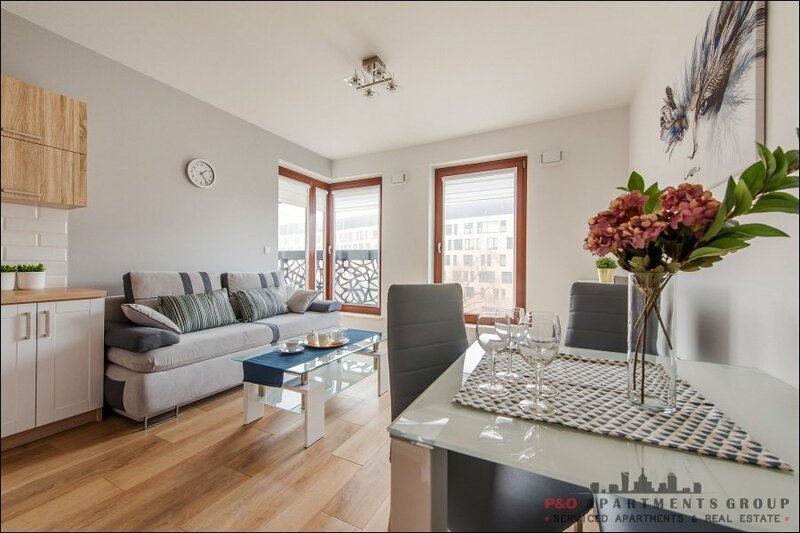 The apartment is modernly finished, impresses with its beautiful design and functional device, and with windows overlooking the center of Warsaw. 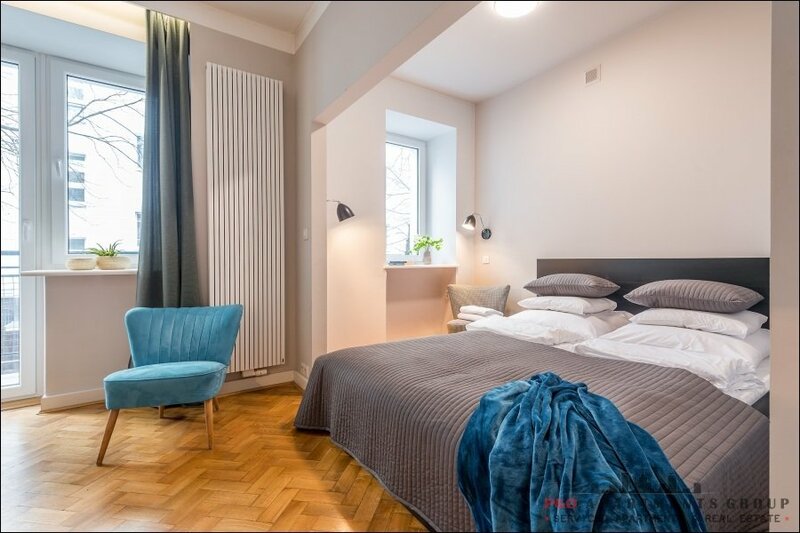 3 comfortable bedrooms with double beds and a living room with a sofa bed. 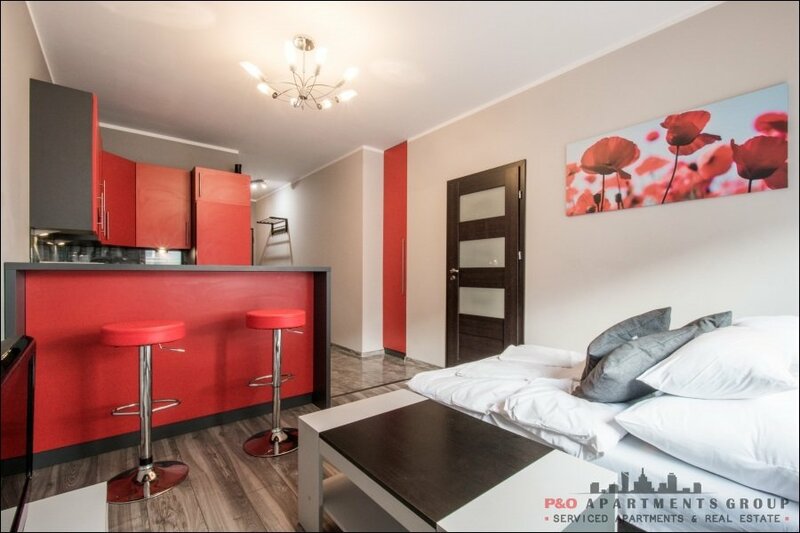 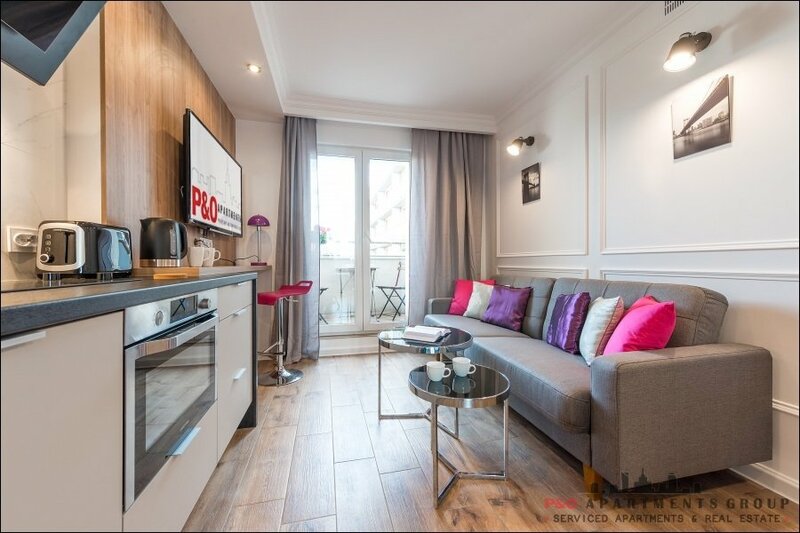 The living room is connected with a fully equipped kitchenette. 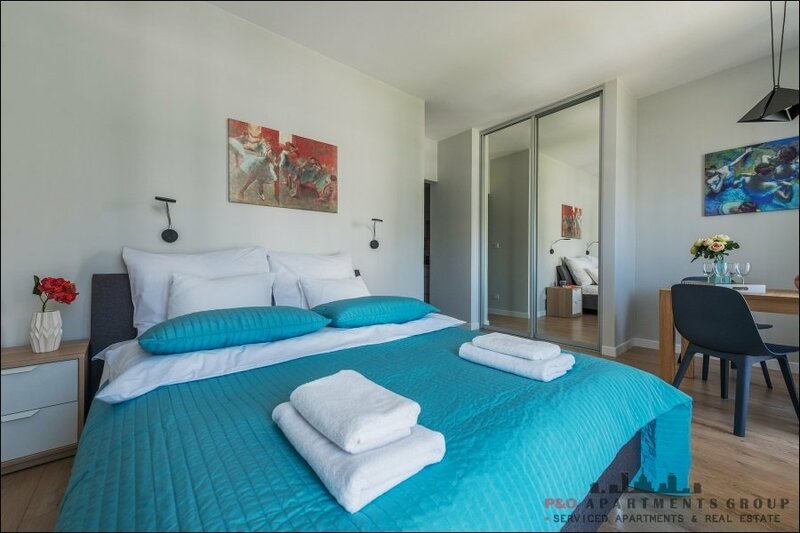 One of the bedrooms has a separate bathroom with a shower cabin, and the main bathroom has a bathtub. 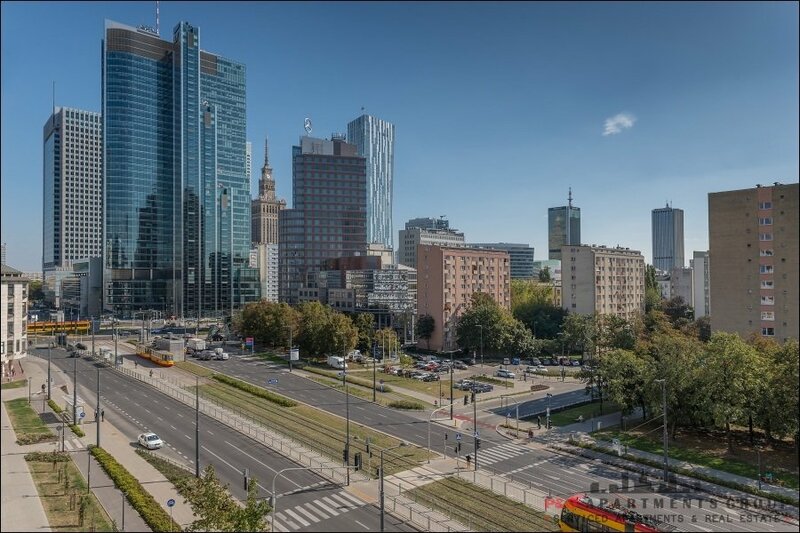 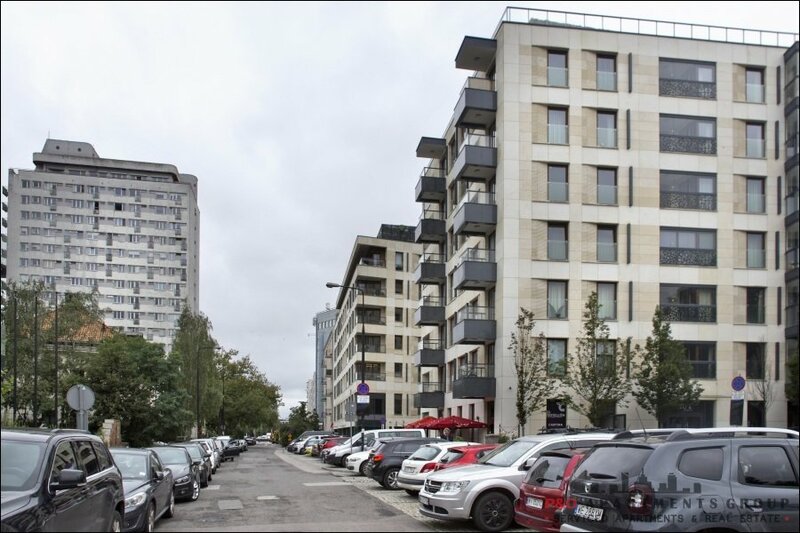 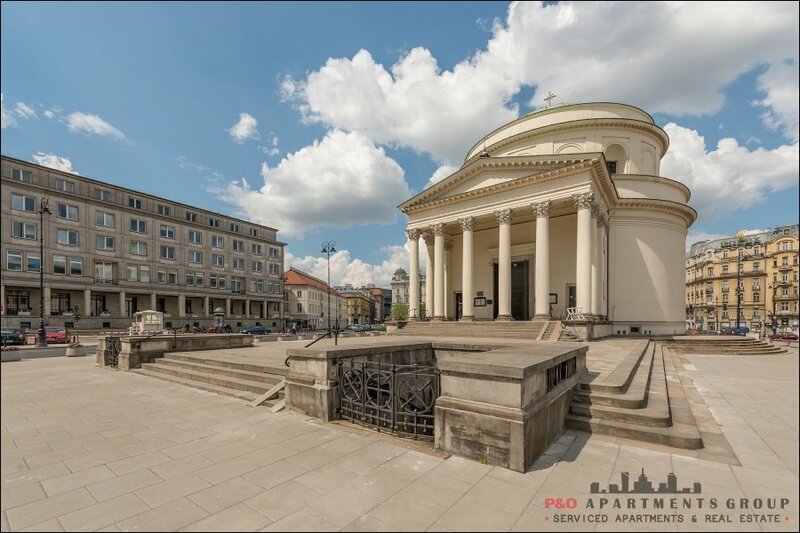 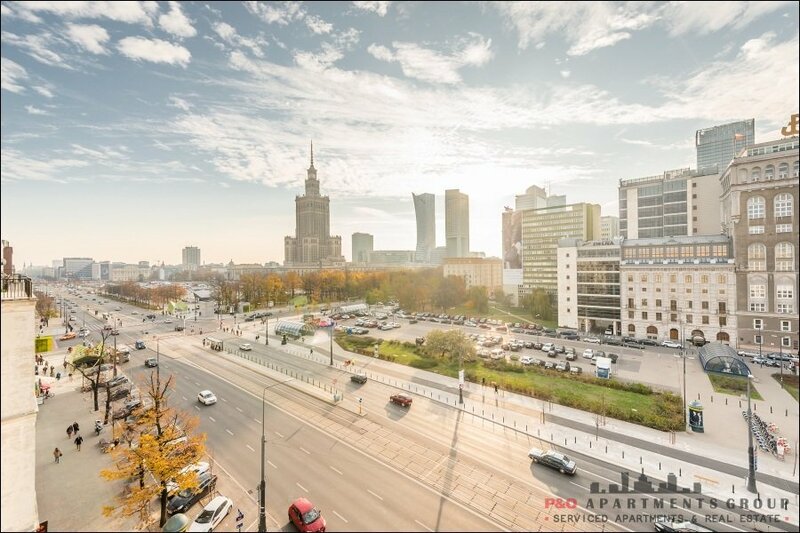 Very good public transport, location between ONZ Roundabout and Rondo Daszyńskiego - metro, buses and trams - easy access to the Old Town, Central Railway Station and Chopin Airport. 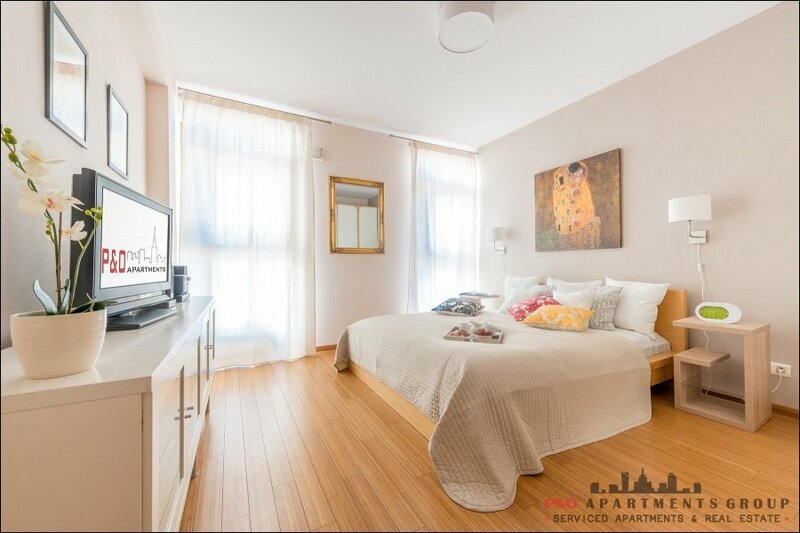 And: Cable TV, iron, ironing board, clothes dryer, vacuum cleaner, a set of kitchen utensils and cutlery.